Last week, Euclid High School's Career Tech Cisco Academy students competed in the Business Professionals of America Regional Competition. Our Euclid Cisco students participated in events that simulate industry-recognized certification tests in the Networking and Cybersecurity fields. Ashawn Berry, Natalia Gray, Nate Johnson, and Amanda James placed in the Top Ten at the regional competition. Five students are advancing to the state competition in Columbus, Ohio on March 14 and 15th. Jeremy Morton and Casey Barrett are advancing in Computer Network Technology which is based on the CompTia Network+ certification. Colin Bowser and Nate Mawunya are participating in the Systems Administration Using Cisco which is based on the Cisco CCENT certification. Vansh Kasabwala is representing the program in the Computer Security competition. 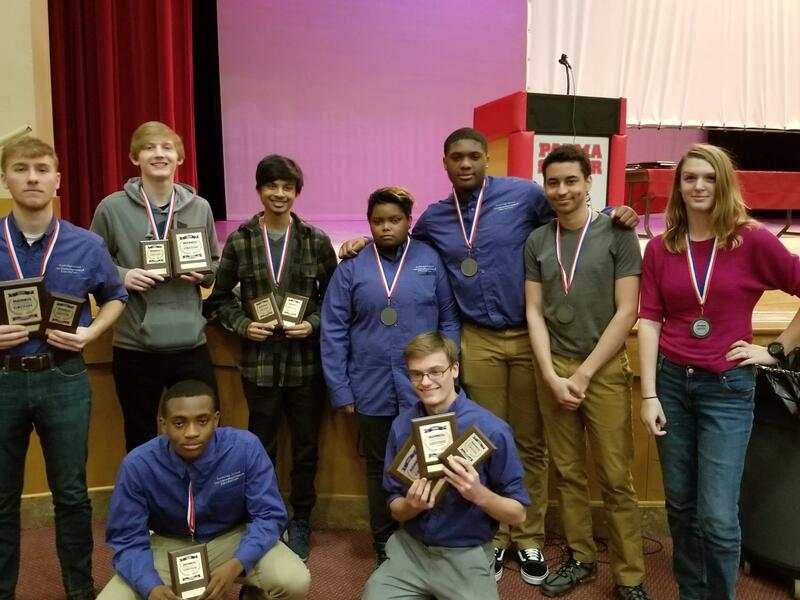 This marks the 11th consecutive year our Cisco Networking Academy students at Euclid High School are advancing to the State Competition.